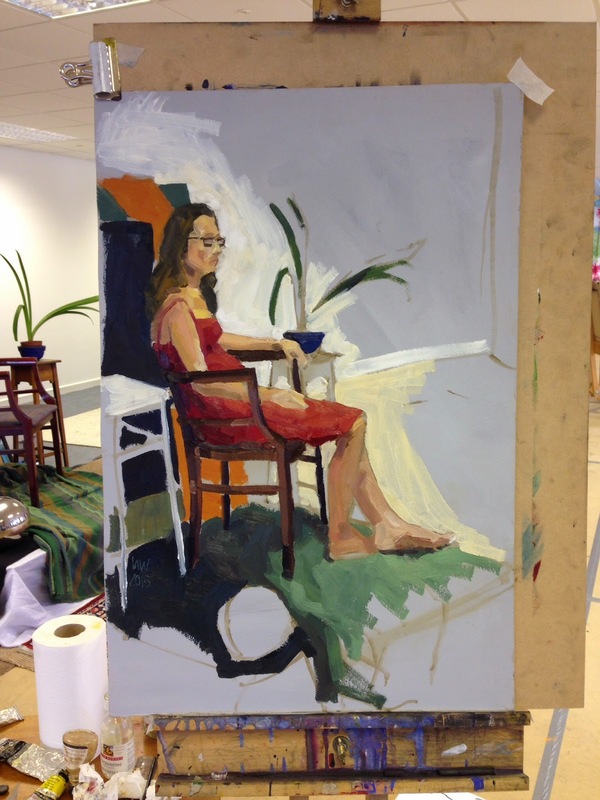 Another life drawing session on Sunday. 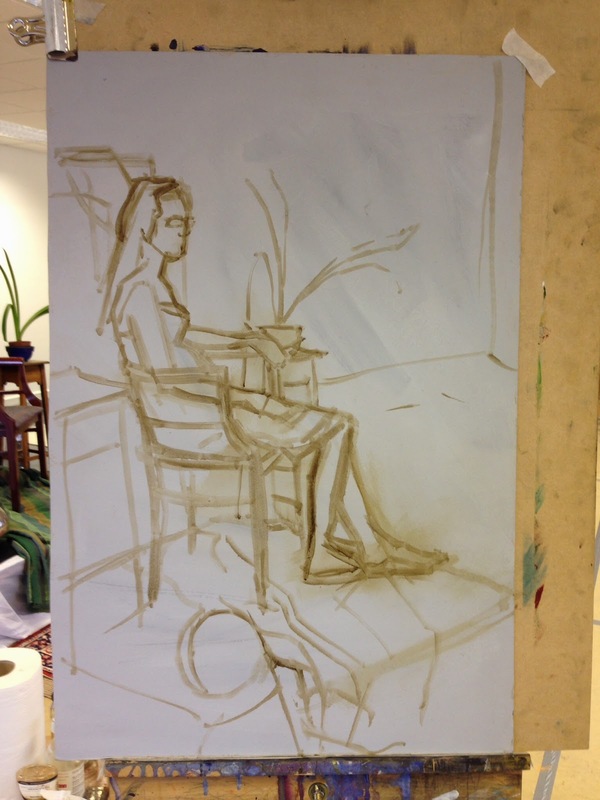 This week we were working on a clothed figure and the lovely Deborah posed for this 3 hour drawing. Usually I focus mainly on the human form, I tried this week to capture some of the surroundings too. Here are the steps in progress of course in 3 hours the painting wasn't quite complete but I'm happy with some of the detail I managed to capture. 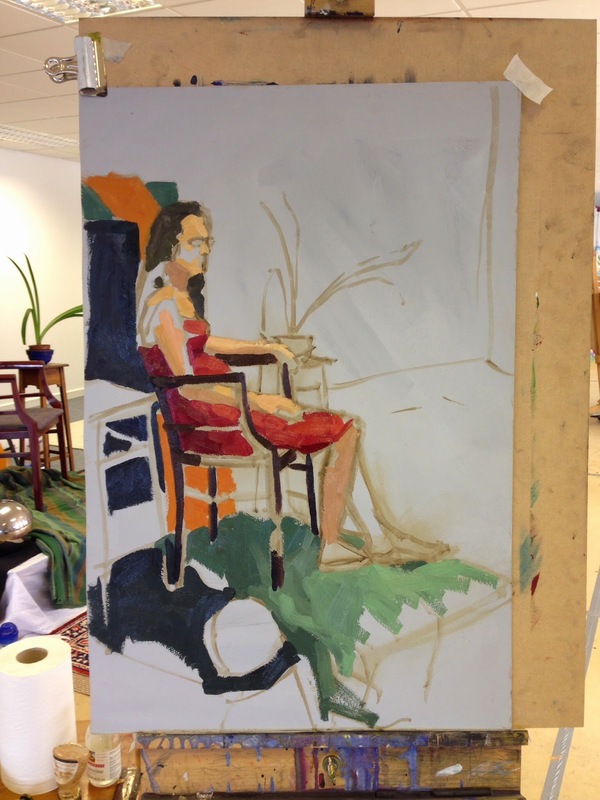 More adventures in life drawing here.